Getting around LA is becoming increasingly simple thanks to its ever growing transit system. The city’s Metro Rail system will take you to most of the main attractions and the most you will have to wait for a train is usually around ten minutes. The buses are also pretty good and a convenient way to see the best parts of the city. 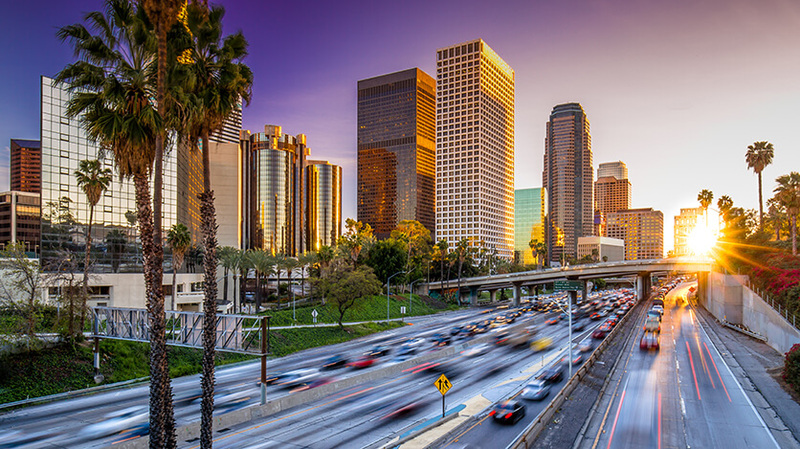 A lot of tourists choose to hire a car to get around, LA is a city dominated by cars. The complex highways can be a bit confusing but you can master them pretty quickly.